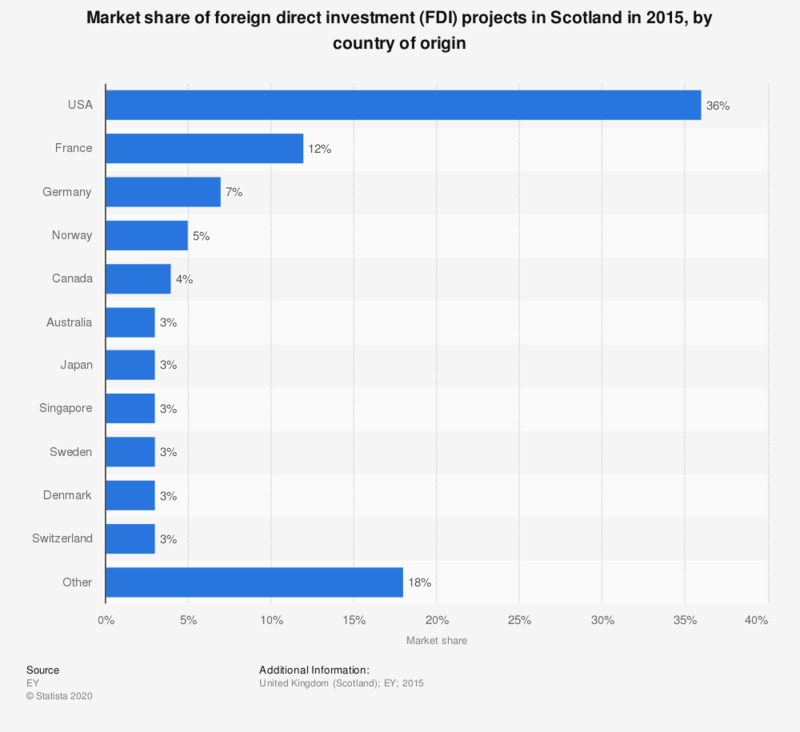 This statistic shows Scotland's largest countries of origin for foreign direct investment (FDI) in 2015. The United States clearly dominates the market, with 36 percent of foreign direct investment projects originating from the US. France and Germany take up second and third place.